Amritsar: The Damdami Takhsal has its boots up to start up with the ‘Kar Sewa’ (voluntary service) for setting up a Shaheedi (martyrs) gallery at the June 1984 Indian army’s military attack Memorial inside the Darbar Sahib complex on Wednesday. Saka June 1984 Memorial at Darbar Sahib Complex. 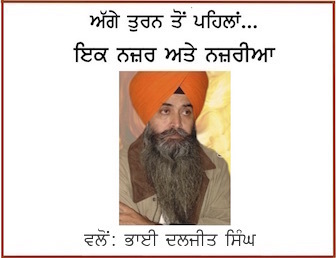 As reported by the media after the ‘bhog’ of Shri Akhand Path Sahib Damdami Taksal chief Harnam Singh Dhumma will inaugurate the “kar sewa” for the Shaheedi (martyrs’) gallery, proposed to come up in the basement of the memorial. The gallery will have portraits of Sikh militants, including Sant Jarnail Singh Bhindranwale, as well as pilgrims who were killed during the Indian army’s invasion. 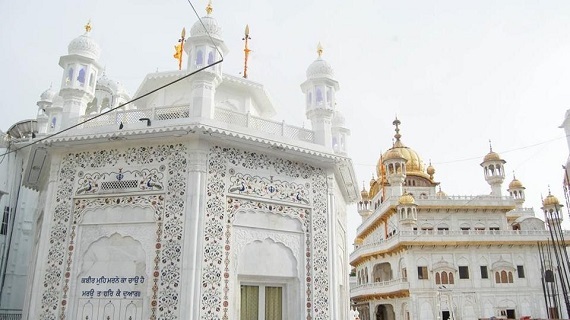 Last month on 15th June the Shiromani Gurudwara Parbandhak Committee (SGPC) gave its consent to go ahead and set up a photo gallery of Sikh “martyrs” killed during Indian Army’s attack, the 1984 army attack was on the pretext to flush out militants from the Darbar Sahib, at its executive committee meet. The SGPC is likely to provide list of the pilgrims who were killed by the Indian army during the attck and efforts are made to gather their portraits too.